Carbon dioxide emissions produced by UK shipping could be up to six times higher than currently calculated, according to new research from The University of Manchester. As the shipping industry's emissions are predicted to continue to grow in the future, the UK will fail to meet its commitment to avoid dangerous climate change if additional cuts are not made to other sectors. 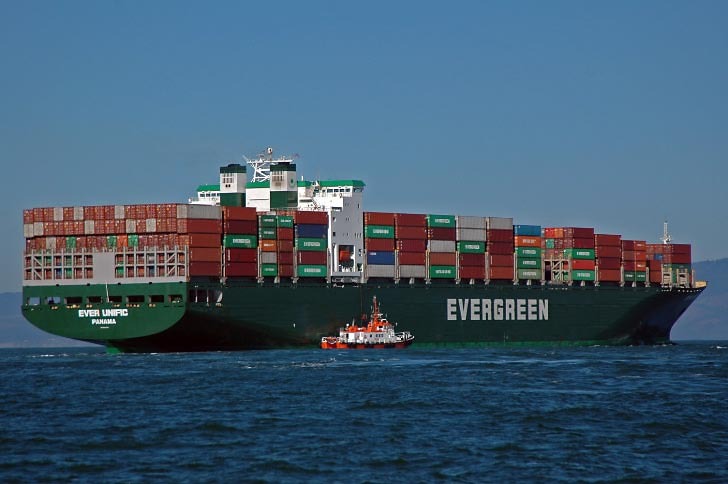 According to a University of Manchester study, the global shipping industry, despite being traditionally viewed as one of the most energy efficient means of transport, releases increasing amounts of harmful emissions into the atmosphere every year. Indeed, as the rest of the world strives to avoid dangerous climate change, the global shipping industry's carbon emissions could account for almost all of the world's emissions by 2050 if current rates of growth "fuelled by globalisation" continue. This new report refocuses attention from the global efforts to reduce shipping emissions down to a national scale, and questions if the UK has a role in influencing its share of the CO2 emissions produced. The dramatic change in the estimate of CO2 from UK shipping is based on the fact that, up until now, the UK's emissions are calculated using international bunker fuel sales - that is fuel purchased at UK ports. But, according to the report, this is a misleading statistic as the majority of vessels refuel at nearby ports, such as Rotterdam in Holland, where prices are more competitive. Scientists at The University of Manchester show that the level of CO2 emissions released by commercial ships involved with UK trade provides a fairer representation of UK shipping emissions than fuel sold. If this representation were to be adopted, the UK's CO2 emissions allocated to shipping would increase significantly - and possibly to a higher level than the amount of CO2 released by UK aviation. 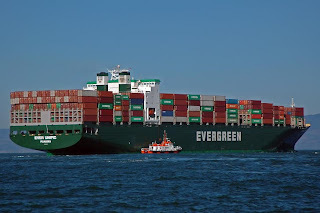 Greenhouse gas emissions from international shipping activity currently account for around 3% of total global emissions. On the basis of its international bunker fuel sales, UK international shipping emissions for 2006 were around seven megatonnes of carbon dioxide (7 MtCO2). However the report, prepared by researchers at the Tyndall Centre for Climate Change Research and the Sustainable Consumption Institute, claims it is fairer to calculate UK emissions on the basis of shipped goods exported from or imported into the UK. On this basis, UK emissions rise considerably to 31 or 42 MtCO2 respectively. Dr Paul Gilbert, Lecturer in Climate Change at the Tyndall Centre for Climate Change Research, said: Tackling climate change requires urgent emission reductions across all sectors. Unfortunately up until now, global efforts to reduce shipping emissions have been slow, and are not keeping up with the pace of growth of the sector. This report explores the potential for the UK to take national measures to reduce its share of shipping emissions to complement any future global or EU action. The report also examines the role the shipping sector should play in overall emissions reduction. Dangerous climate change is generally accepted to be an increase in global average temperature of greater than 2ºC above pre-industrial levels. To have a reasonable chance of avoiding dangerous climate change, global emissions must fall steeply out to 2050. Indeed, the report suggests that the UK should, in advance of EU or global action, consider a unilateral adjustment to its carbon budgets to reflect its share of international shipping emissions. It concludes that action is required in both the short and medium-term to significantly reduce shipping emissions below projected levels. An international deal to control shipping emissions is currently under discussion at the International Maritime Organisation (IMO). However, progress on this issue has been slow and the European Union has announced that it will take action at an EU level to limit international shipping emissions if the IMO has not agreed a deal by the end of 2011. John Aitken, Secretary General of Shipping Emissions Abatement and Trading, said: This timely and thought-provoking report highlights many of the difficulties faced by those interested in reducing GHG emissions from shipping. It is clear a global approach is most preferable. If the further research mentioned in the report identifies an apportionment methodology for "countries" which can be agreed upon by many nation states, it would greatly assist the development of a global strategy."